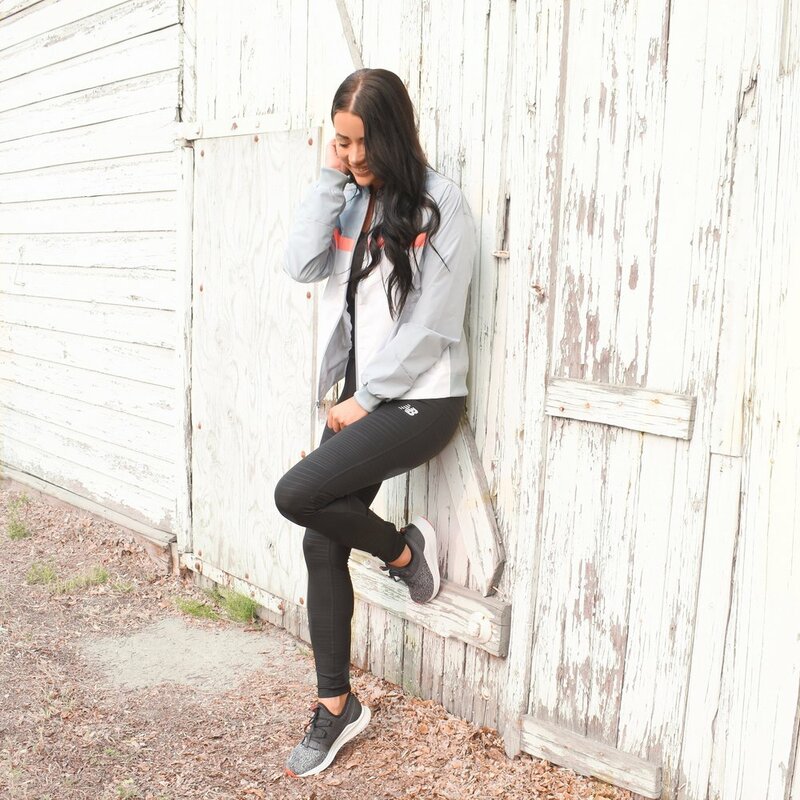 Hey guys - today I've teamed up with Sport Chek and New Balance to show you a few of my favourite pieces! As a few of you may have heard, I have started picking up the pace with my fitness. I am no where close to being where I want to be, however, its a journey and I am starting it! And lets be real, being stylish while working out is probably the most fun part of it, right? Enter this beautiful brand of New Balance sold at Sport Chek! New Balance has been known to me for a long time, and has always been a high quality and trustworthy brand. From their leggings to gorgeous and trendy workout tops to their amazing quality shoes for running, training, etc this brand has nailed it over and over again! Sport Chek carries a huge line of New Balance items which is where I shop for all my goodies! These sneakers are amazingly comfotable and are super light to help you run, train or just walk lightly through your workouts! I will link these and a few of my other faves below! These leggings are no joke some of the comfiest leggings I have every worn in my life! They are stretchy, flattering, breathable and stylish in every way possible! I will link them here with a few other ones I am crushing on right now! This NB jacket is amazing for so many reasons! 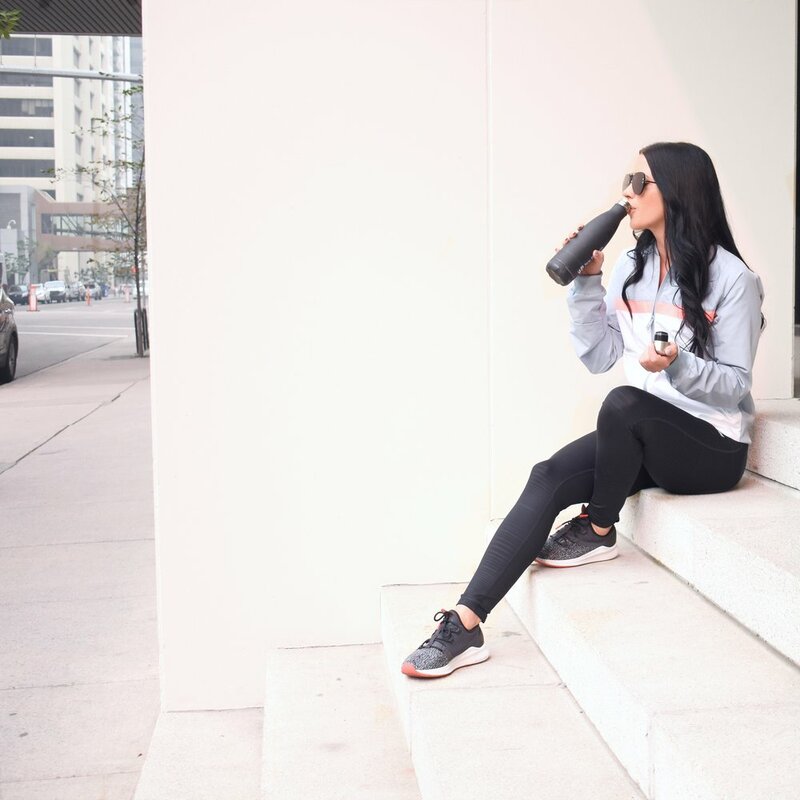 Not only is it a bit baggy and light weight so it doesn't stick to you when you're breaking a sweat, it has a breathable lining and amazingly stylish so you feel great while you work out! Here is the link and a few more cute options below! Check out the New Balance line at sportchek.ca - I promise you will thank me later!